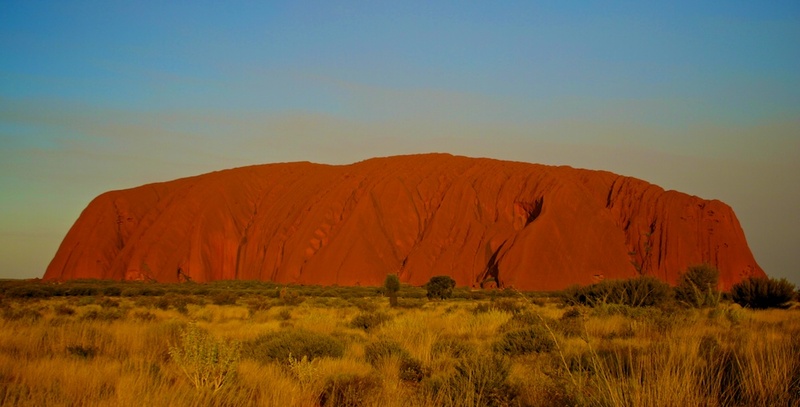 This shot of Uluru was relatively dull until tweaking in post made it stand out. Post: reduced exposure, increased saturation, definition, increased contrast, added vignette. Cropped.